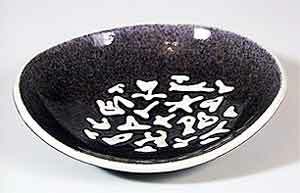 Tibor Reich Denby dish - 7⅛" (180 mm) wide, 6" (152 mm) deep. Tibor Reich was a prominent designer of the 1960s. He is very well known for his fabric designs.